American Airlines announced that it is awarding $337,000 to 17 aviation-focused schools and organizations around the country that are dedicated to training the next generation of aviators. The grants are an example of American’s continued efforts to help grow and diversify the nation’s pool of pilots. 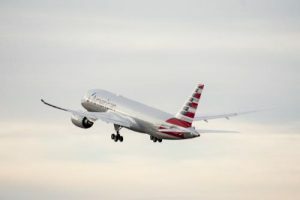 “We believe we’re making the pilot profession more visible, accessible and obtainable to a broader range of people than ever before,” said Captain David Tatum, Director of Pilot Recruiting and Development for American. With this news, American’s Flight Education Grant program, now in its second year, has awarded 34 grants totaling $789,000 to flight schools, nonprofit organizations, and middle school, high school and college-level organizations that generate innovative and creative ideas for growing and diversifying the nation’s pool of pilots. In April, the airline launched the American Airlines Cadet Academy, a first-of-its-kind program providing aspiring pilots of all backgrounds with the opportunity to receive the training, financing and mentoring opportunities necessary to fly for the world’s largest airline.